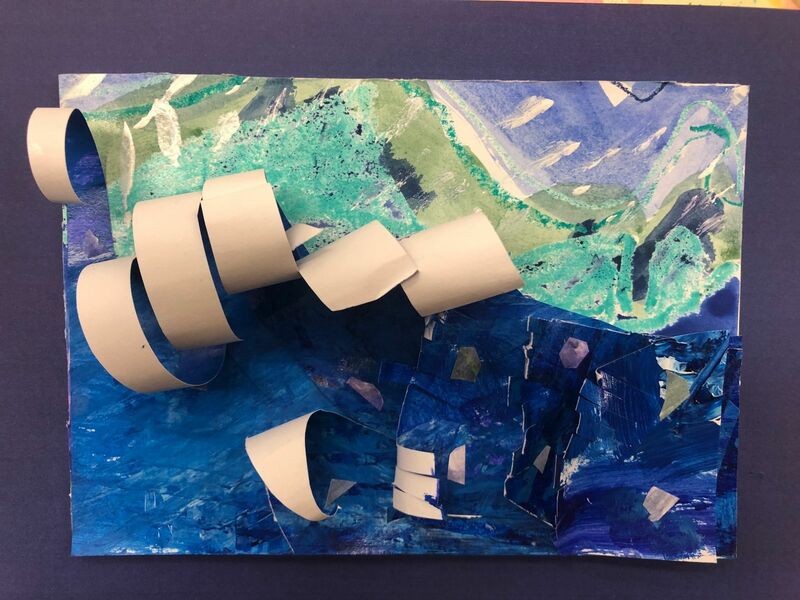 Year 1 have been exploring how they can represent forces of nature in creative ways. 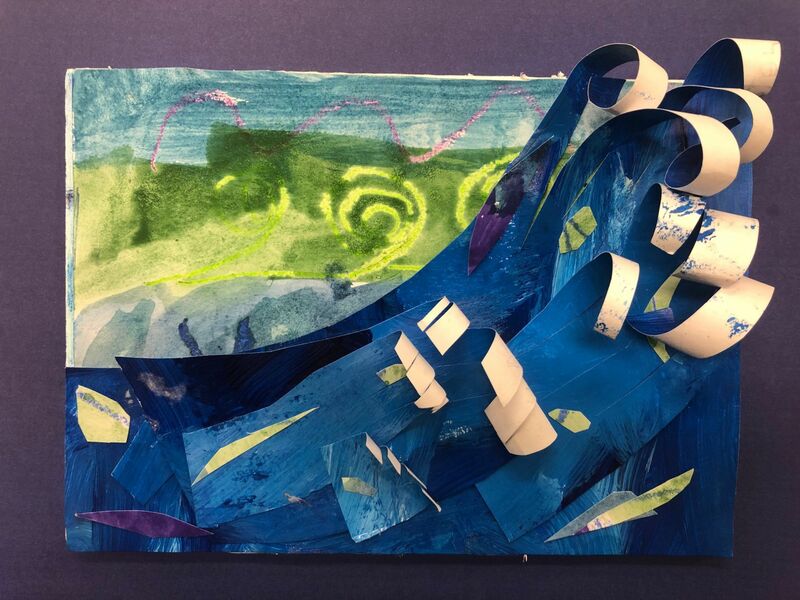 They have explored the work of Hokusai and focused their attention on his use of line and colour before creating their own versions of a ‘great wave’. Aston and Alexander have used mixed media and a variety of paint and paper techniques to add interesting layers to their turbulent sea. This term, Year 4 have been studying the topic ‘Smooth Moves’. 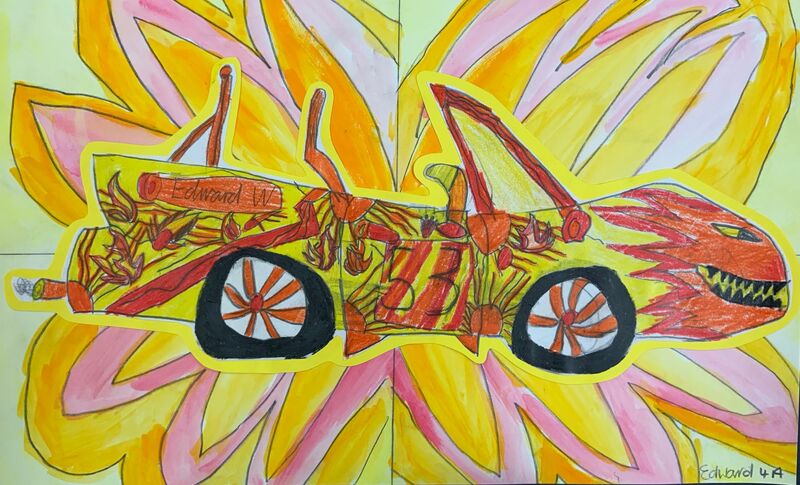 The boys observed sports cars that came to school for the Art Incursion, trying to recreate the details on the Mx5, Mercedes and Ferrari. The boys were asked to create a theme for their car ‘similar to the BMW Art Car series’. 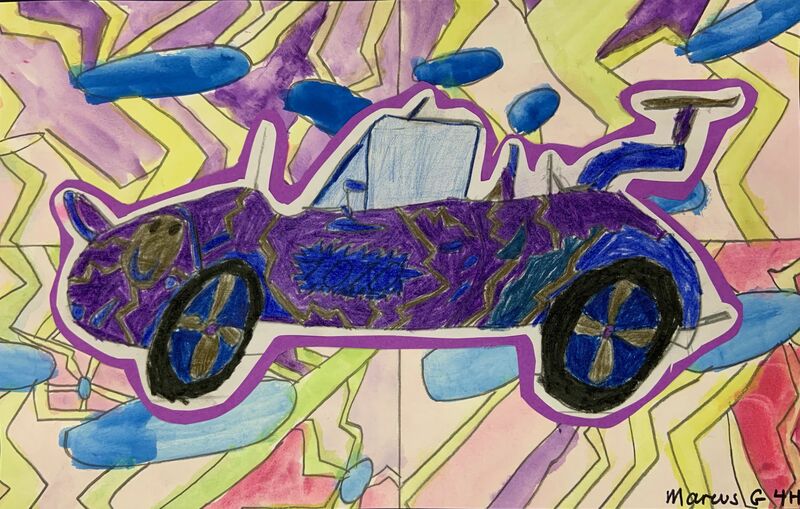 For their art car background, the task being to abstract the theme into a background that showed off their car. This background was painted in gouache, a medium not used before. 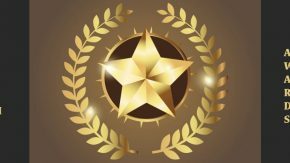 These cars were so successful that it was really hard to choose Artist of the Week! 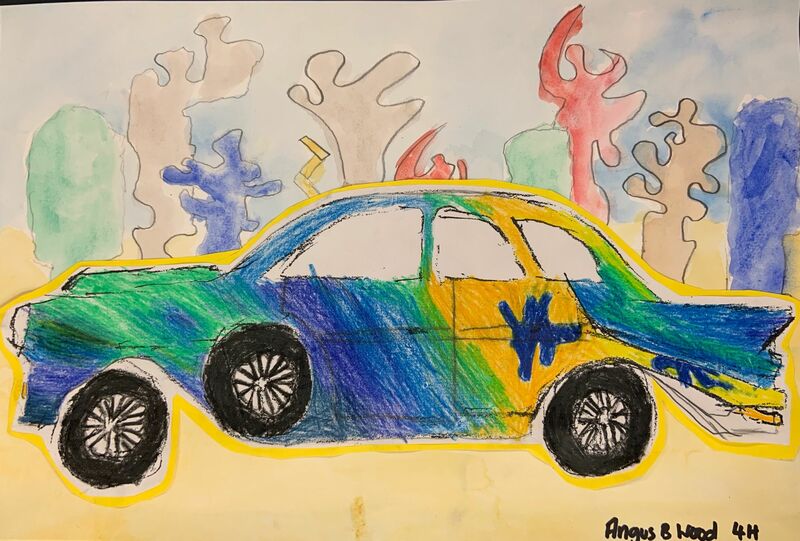 Congratulations to Angus Baker Wood 4H, Marcus Gorevski 4H and Edward Walker 4A for their amazing Art Cars.